The endless jokes don’t escape our small offices in the crows nest of our downtown New Orleans bakery. Even one of our fearless leaders dons a hilarious Fruit Cake ugly sweater during the holiday season to poke fun at our chosen professions. 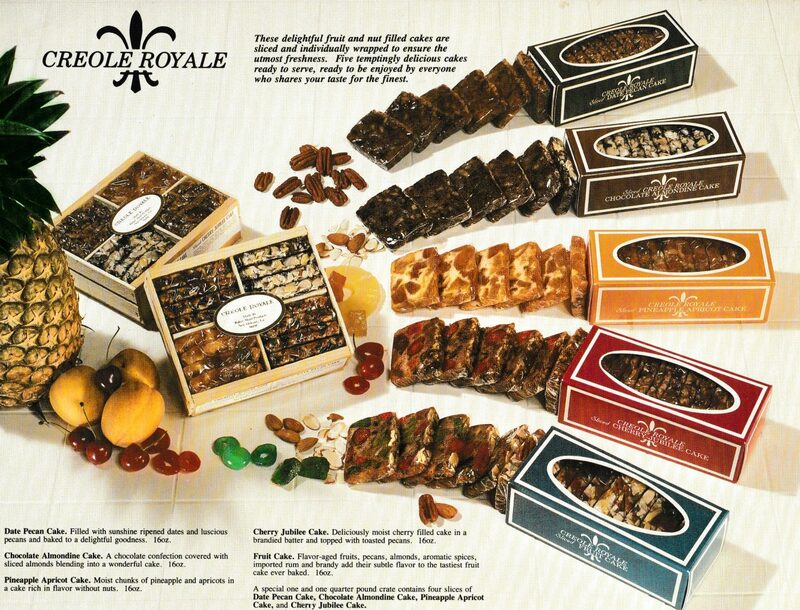 Despite the endless jokes, I can’t help but to find myself sneaking one of our individually wrapped slices off of the packaging line (I’m a sucker for the Pineapple Apricot.) The reason the jokes don’t rub us the wrong way? 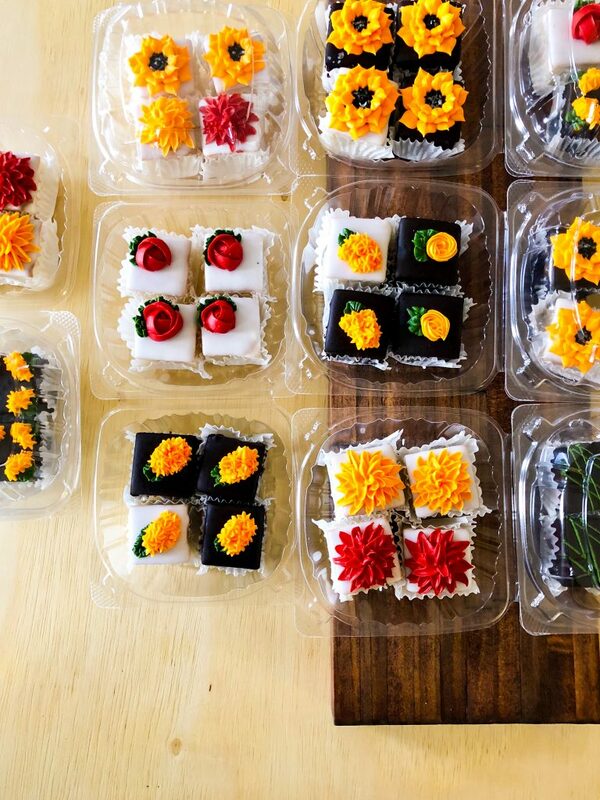 Because fruit cakes are stinkin’ delicious. 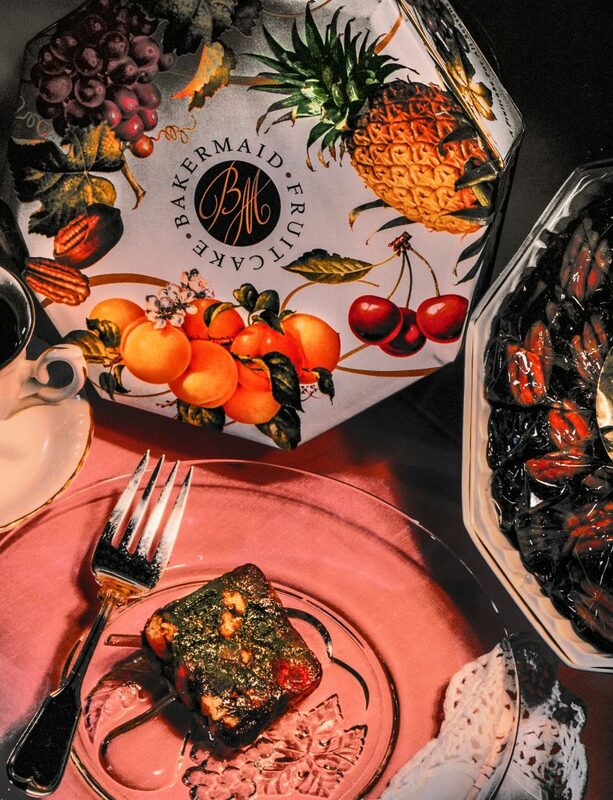 And yes, after fifty years of jokes trying to bring down our champion, the fruitcake remains an international holiday staple and a top seller for small bakeries and luxury stores across the nation. A single rich and boozy bite will transport you to a simpler time when everyone would gather around for a holiday feast. 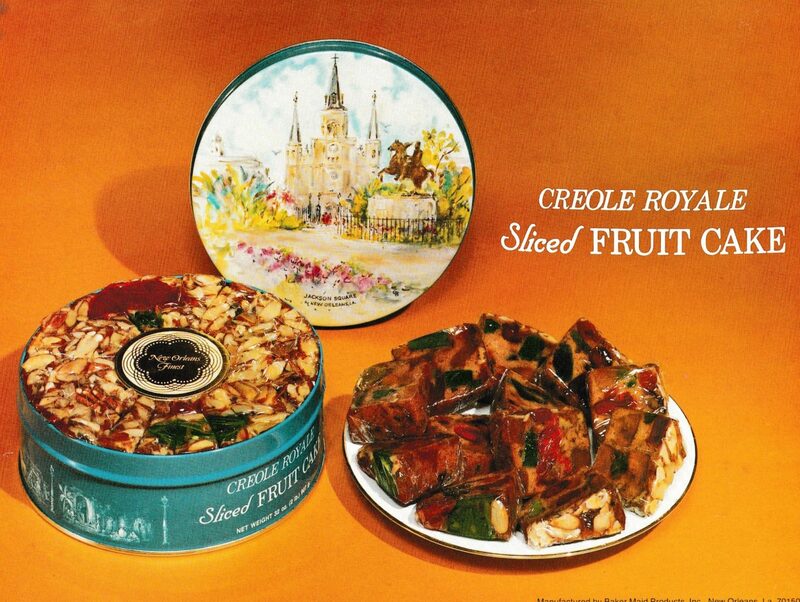 In short, fruitcakes, and certainly our Creole Royale Fruitcake are here to stay because they taste like the Christmas. 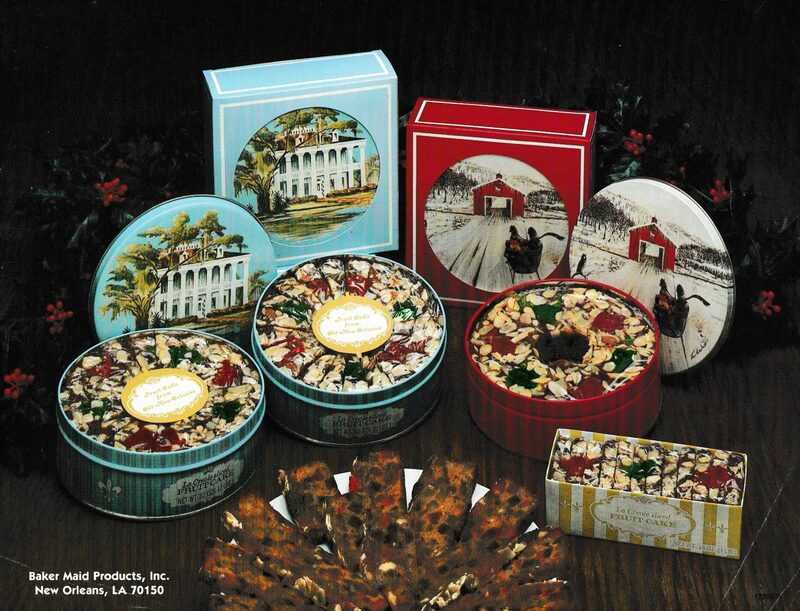 Here’s a look back at the rich history of Baker Maid’s Fruitcake. 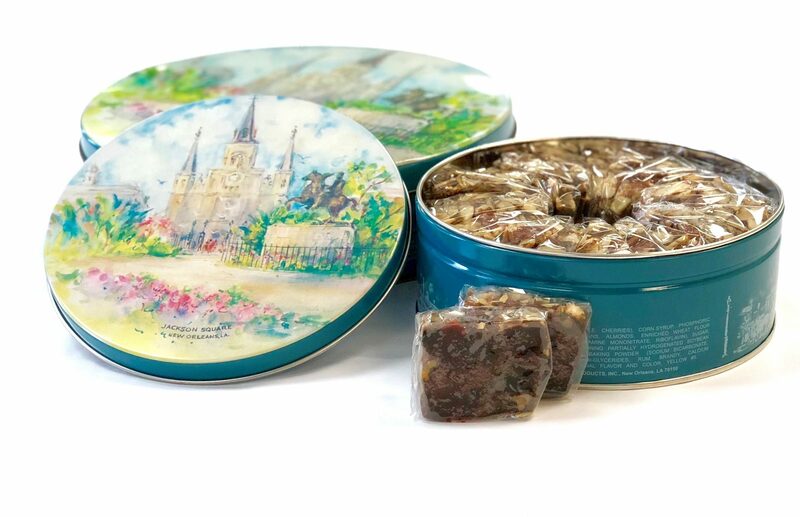 Are our fruitcakes a part of your family’s tradition? We’d love to hear from you! Reach out on our Contact Us page, or tag us on Facebook or Instagram!